Remember what it looks like, but not what it's called? Browse through our entire catalog of products in a whole new way. 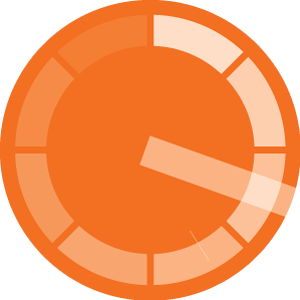 To use Picture Search, we recommend using the latest versions of Safari, Firefox, Chrome, Opera or Internet Explorer. 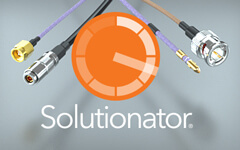 Sorry, but Solutionator® sessions are only active for 12 months. Please use the options on the side to recreate your solution. 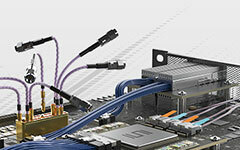 Already have a part number? If you don't have an exact part number you can enter the series name to get started. Please ensure pop-up blockers are disabled to see your simulation. A wide array of resources available to you free of charge including Electrical Models, 3D Models, and a large library of PADs and OrCAD models. Samtec makes no warranty or guarantee as to the suitability of its products or models for any specific application. Samtec reserves the right to make changes at any time without further notice. Models were developed using nominal values for physical dimensions and material properties and specific grounding and boundary conditions. Actual in-circuit performance can vary significantly from simulated results. All parameters should be validated by the customer's own technical experts. By downloading a model, the user agrees to absolve Samtec from all liability related to the use or application of the model or product. The models herein are for the limited purpose of considering the purchase/use of product(s) of Samtec, Inc. ("Samtec") and contain proprietary information of Samtec, our various licensors, or both. Samtec does not grant express or implied rights or license under any patent, copyright, trademark or other proprietary rights and the use of the models for building, reverse engineering or replication is strictly prohibited. By using these models, the user agrees to not infringe, directly or indirectly, upon any intellectual property rights of Samtec and acknowledges that Samtec, our various licensors, or both own all intellectual property therein. The models are presented "AS IS". While Samtec makes every effort to present excellent information, it does not warrant the models are without error or defect or the use of the models in terms of accuracy, reliability or otherwise. The user agrees that all access and use of the models is at its own risk. NO WARRANTIES EXPRESSED OR IMPLIED, INCLUDING ANY WARRANTY OF MERCHANTABILITY, FITNESS FOR A PARTICULAR PURPOSE OR OF ANY KIND WHATSOEVER ARE PROVIDED.